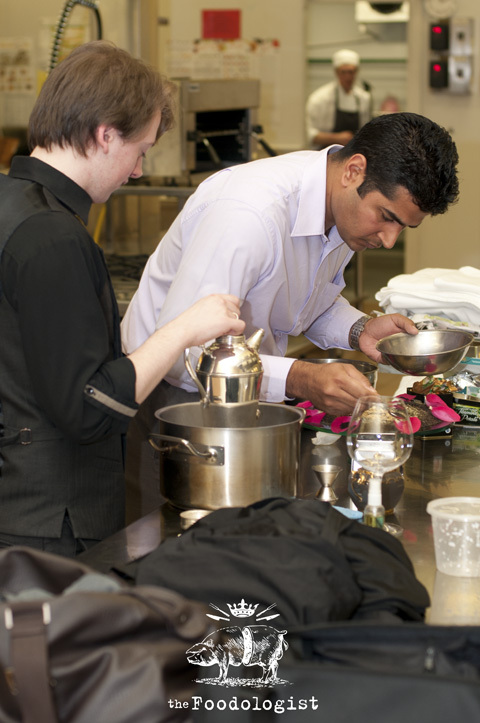 Earlier this year I had the opportunity to attend a culinary competition of a different kind where professional and amateur teams battled for the title of South Australian Dilmah High Tea Challenge Champion of 2012. 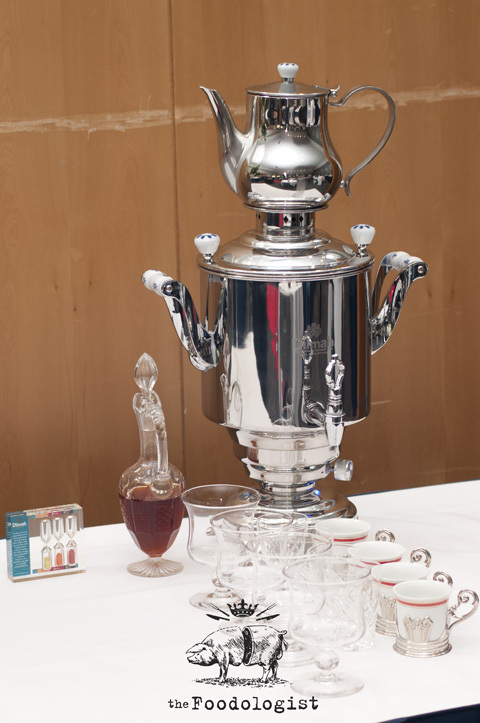 Inaugurated by the Fernando family in 2007 in Colombo, Sri Lanka with the objective of ‘putting the tea back in high tea’, this culinary competition pits teams against one another to create new and innovative ideas utilising tea as an ingredient, but also to redefine and innovate the experience of ‘high tea’ into a modern context. 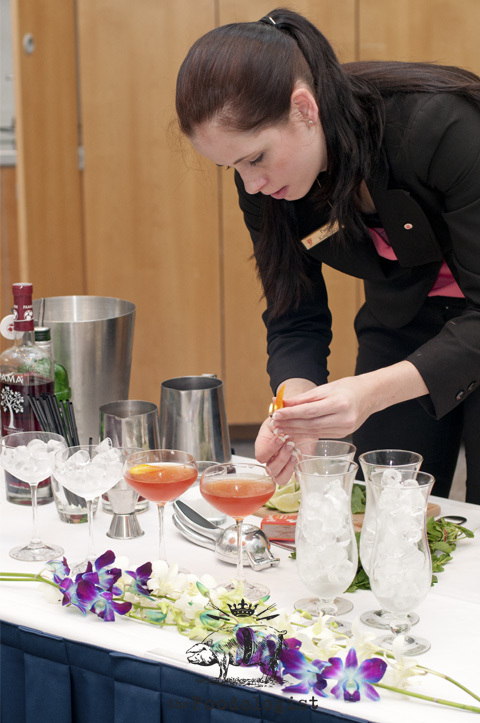 Members of the ‘Hilton Adelaide’ team make preparations for their submission. - Traditional Black Tea using loose leaf tea served hot. - A hot tea mocktail/tea comforter. Concentration from the ‘Hilton Adelaide’ team. - A combination of afternoon tea/high tea food items, sweet and savoury, 2 varieties of each, and 4 pieces of each variety, to be served and matching/complementing the 4 teas submitted for tasting. 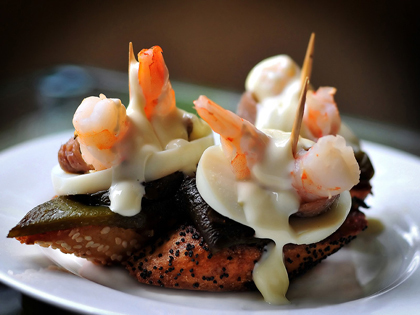 - Additionally, 2 food items (1 savoury, 1 sweet), 4 pieces of each much be prepared and served using tea as a main flavouring ingredient. Judges Peter Kuruvita and Dilhan Fernando assess the competition. A contestant ‘fires up’ the competition. 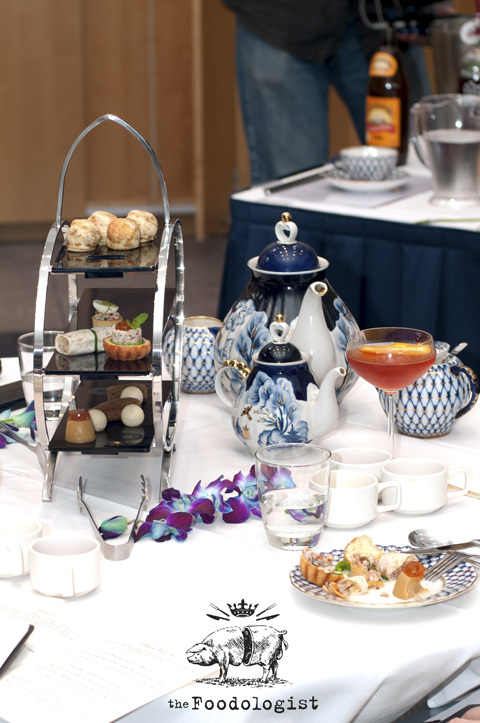 One member of each team must also present the tea to the judges along with their menu and explain the culinary ideas and pairing concepts in order for the judges to gain an in-depth understanding of each team’s submission. Exquisite tea sets and food on show. It was a thoroughly enjoyable experience to witness this event for a number of reasons. 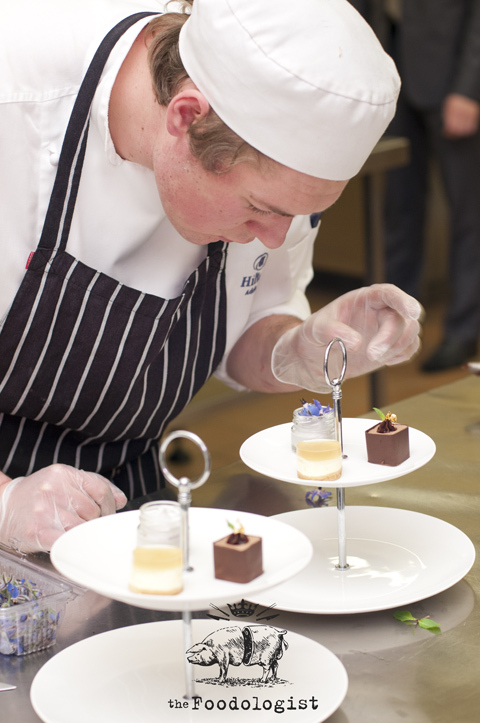 Firstly, it was great to see Adelaide’s bright, up and coming culinary all-stars from both professional and amateur backgrounds producing carefully thought out and intricately served food and beverages to a team of highly respected international judges. Secondly, whilst appreciative of real innovation and progression, it was also a nice reminder to culinary tradition to see this competition taking place, during times when it seems so many of our culinary traditions are being trashed in the falsehood of ‘progress’. 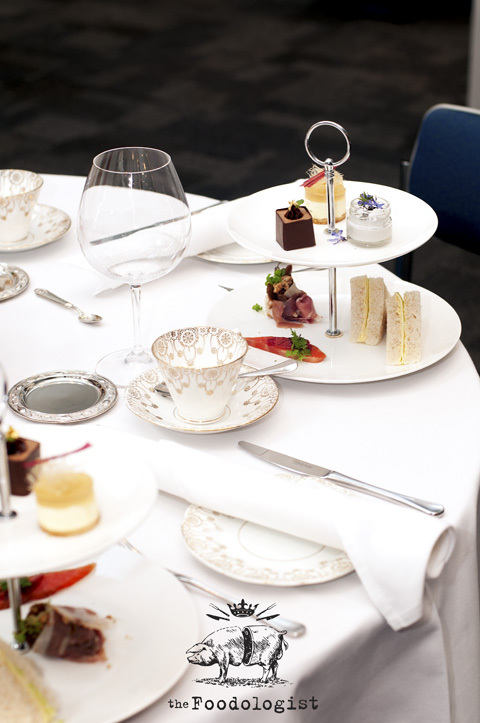 If you think you might like to enter the next competition or if you just want a few tips on how to present a high tea for your friends or family, please visit: Dilmah High Tea Challenge or http://www.dilmah.com.au for more information. those dessert canapes look so good and delicate. Thanks Simon. They were beautifully made and incredibly intricate.